What can we even say or write or do about yesterday? Boston was hurt. And we were all hurt. I ran the Boston Marathon a few years ago. It is, to date, one of my most personally defining experiences. When I heard about the explosions, my heart broke in a million pieces. 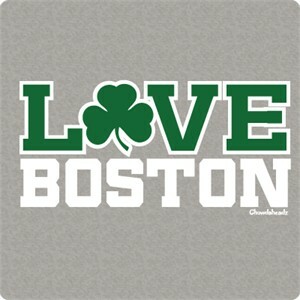 For Boston, this city I've called home for so long. For all of those who went down. For every spectator, every family member and every friend who felt fear and terror and panic. For every single runner. Especially for the runners. The bombs took something away from all of us. The Boston Marathon is Boston at its best. And it is human nature at its best. A marathon is the triumph of the human spirit, of human nature. A marathon is triumphant and victorious and celebratory and wondrous. The bombs cut right at the heart of everything that is Boston and everything that is a marathon. I got up this morning and thought maybe it had been a bad dream. And then I remembered. So I ran. I ran through Boston Common, nodding at other runners and avoiding media vans. I ran down to the Financial District, where there were no other runners. I ran and I cried. And then I took a shower, put on a Red Sox t-shirt and my Boston Marathon windbreaker, and went to work.